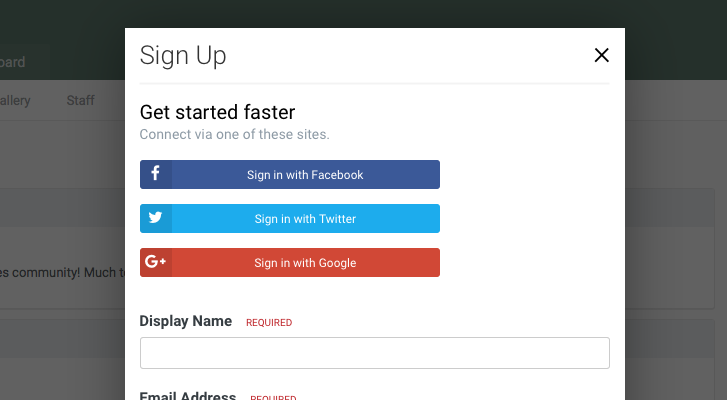 You can now quickly join the community with FaceBook, Google and Twitter! We have now enabled joining the community with FaceBook, Twitter and Google+. That is great. But, how do we provide a similar feature onto our sites such as onto our membership site or forum so others can signup likewise using facebook/twitter/gmail ? Did you build that php script or did you get it from somewhere else ? How-about freely providing the code here so we php students can learn from it ? This function came with this forum software. But you can build it for your own apps by referring to the docs on Facebook, Twitter and Google. I'm not good enough in php to build one by referring to their docs. Best I can do is look over your's and learn from that. Mind you, if I have any questions then I'm opening threads in your forum.